If you’re dealing with a ‘dangerous’ opponent, then isn’t the manner in which you deal with it more important than the end? A democracy that prides itself in ‘good governance’ would always say yes, the manner is important. Like, you investigate cases against suspected terrorists, you put them under trial. Shooting a suspected terrorist in a ‘mysterious’ encounter doesn’t behove a democracy. Then, what did you do with Avni, a tigress from Maharashtra, a suspected man-eater? She was dispatched point blank, in a night encounter. What is the problem? Many will ask. Shouldn’t this dangerous opponent be put down? There are many problems with what has happened, and I will outline them below. 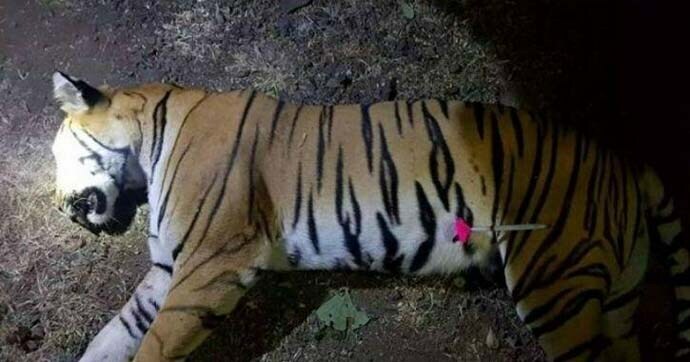 Avni, a suspected man-eater, was killed in a late-night operation in the small hours of Saturday. Avni lived outside tiger reserves, as many tigers do. There are industrial pressures on such land, for instance, hundreds of hectares of land was reportedly given to an industrial giant recently. There are many big cats — tigers, lions, and leopards — that face conflict in India in terms of encounters with people, especially outside the protected areas. By all means, it seems that such conflict will only increase with the change of land-use. Just a look at some of the recent headlines gives an indication of the problem. A tigress in Assam is being tracked for capture because she is eating cattle. In October, a young leopard was shot in a tea garden in Assam. There are specific procedures to deal with these tigers and leopards, laid down by the National Tiger Conservation Authority. Those procedures do not talk of encounters. Instead, they talk about standardised and logical means of dealing with animals outside protected areas. Avni was literally shot in the dark — she was shot point blank by Asghar Khan, whose authorisation for shooting has not been made public. It was also done without a state-approved vet being present, which is again breaking the standardised procedure. As I wrote in this column earlier, man-eaters need to be put down or removed. Yet, since man-eaters are often created because of anthropogenic, human-made differences, and also because we need to solve problems in the long term, correct and field-based procedures are a necessity. After weeks of protests that urged that Avni should be captured, not killed, and after pages of law and procedure have been set down, the end was undignified and suspect. Where does a protest take us? The question as to whether a protest at all takes us anywhere is an important one. On the environmental front, several protests are taking place as we speak. Citizens have taken out hours, days, months, and years of their time to protest bad environmental and wildlife decisions. Mumbai citizens have been protesting the cutting of Aarey forest for a metro yard for years. 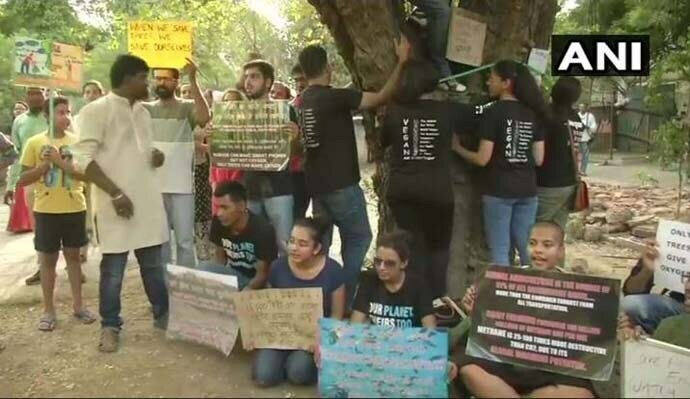 Delhi has protested for months against felling of trees for government colony redevelopment in South Delhi. People in Gurgaon are protesting against proposed roads through an area notified to be an undisturbed green lung — the Aravalli Biodiversity Park. Protests for Avni have not spoken in one voice. While some didn’t want the tigress to be touched, others wanted her removed. Yet, everyone agreed that she should be captured before efforts to kill were made. With a suspicious, nightly encounter, which appears to be backed by the Maharashtra forest department, chance seems to be lost forever. It is not just the death, but the manner in which an environmental protest is ignored and ridiculed is symptomatic of the collective hubris of the society. It is incumbent on various state governments to fairly answer the questions raised by the citizens. When talking about environmental protests, the nature of the subject — a mute tiger, a non-speaking tree, tiny cubs — further necessitates the need for getting timely and transparent answers. Can we now save the cubs, please? This is the most pressing question of all, and it logically follows the other two questions. Avni’s cubs are in a non-protected area, and this is also the eye of the storm. Are they going to be killed point blank like their mother was? Or, are they going to be rehabilitated, with proper state presence? Killing is the simple solution. Yet, the right solutions are far more complex, and take longer. In a letter to the Maharashtra forest department, Bittu Sahgal, a member of Maharashtra State Wildlife Board, asked for Avni to be placed in a holding area in Pench tiger reserve. Sahgal now asks what the plan for the cubs is. 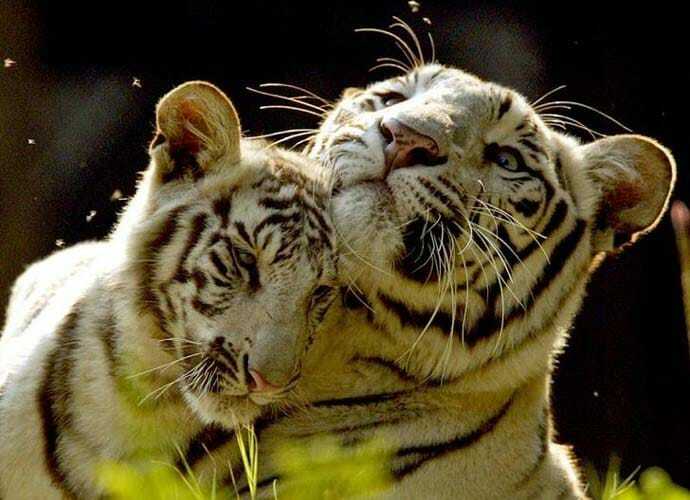 The cubs could be placed in a holding facility without human contact, and then re-wilded — a process that has had success with tiger cubs in Kanha. And whatever is decided for the cubs ought to be put in the public domain. ..Script a fairer tiger conservation story for a tigress that never wanted fame. This is one last chance for the forest department to ensure solutions can be found through proper procedure; and to script a fairer tiger conservation story for a tigress that never wanted fame. This first appeared in my DailyO Column.